ST JOHN’S, Antigua, Mar. 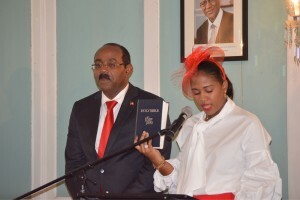 22, CMC – An expanded Gaston Browne cabinet has been sworn in following the Antigua & Barbuda Labour Party’s landslide victory at Wednesday’s general election. Among the new faces is Browne’s wife, Maria, who successfully contested the St John’s Rural East seat once held by her uncle – Sir Lester Bird. The Prime Minister will retain the finance portfolio within the 13 member cabinet, while his wife will serve as Minister for Housing, Lands, and Urban Renewal and as a Minister of State in the Ministry of Legal Affairs, Public Safety and Labour. The representative from St Peter and former Tourism minister Asot Michael returns to the cabinet after being ousted following an arrest in the United Kingdom in relation to a bribery investigation. Although he was later released without charge, Browne promptly relieved him of his ministerial duties. 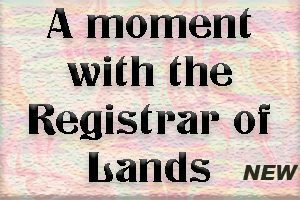 Sir Robin Yearwood would retain the Public Utilities Civil Aviation Energy portfolio, Melford Nicholas will hold on to the Information, Broadcasting, Telecommunications, Information Technology ministry, while Michael Browne will remain at the Ministry of Education, Science and Technology. E.P. Chet Greene will relinquish the Ministry of Sports, Culture, National Festivals and the Arts in exchange for a new assignment at Foreign Affairs, International Trade and Immigration. Newcomer Daryll Matthew will assume Greene’s former post. Matthew comfortably won the St John’s Rural South seat after his first outing as an ABLP candidate. Samantha Marshall is retained as Minister for Social Transformation Human Resource Development Youth and Gender Affairs and Charles “Max” Fernandez, who previously had responsibility for Tourism, Foreign Affairs and Immigration, now serves as Minister for Tourism, Economic Development. 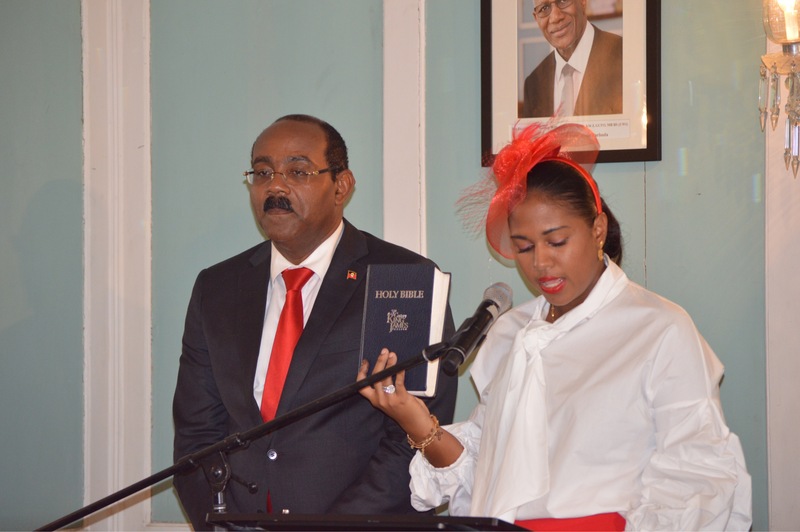 Dean Jonas, who was just given his second term as the St George MP, now receives a cabinet appointment as Minister of Agriculture, Fisheries and Barbuda Affairs. Lennox Weston, a senator and minister of state in the Ministry of Finance and Corporate Governance in the last administration, will retain that ministerial portfolio and Public Works has been added to his responsibilities.